It all depends on whom you ask, right? If you asked anyone who consumes cannabis, they would tell you that when they smoke and drive, they revert to the way they drove right after they got their driver’s license. That is slowly, cautiously, and a bit paranoid. If you ask someone who doesn’t consume cannabis, they would honestly have no basis for answering. Which means if they do answer, they’re probably making it up. Just saying. For drunk driving, the nationally recognized level of impairment is a blood alcohol concentration of 0.08 grams per milliliter. For cannabis and other drugs, there isn’t total consensus on what is legal for driving. Some states have set limits for how much THC can be in the blood while driving. Colorado, Montana, and Washington dictate that the legal limit is 5 nanograms of active THC in your blood and in Nevada and Ohio the limit is 2 nanograms. However, Colorado Department of Transportation states that “no matter the level of THC, law enforcement officers base arrests on observed impairment.” So basically, they can do whatever they want. In Hawaii, where they are prepping for the opening of medical marijuana dispensaries, the discussion about legal limits for driving is hot on lawmakers minds. Representative Cindy Evans and 15 other lawmakers assembled a resolution that asked the state Department of Health to study the affects of marijuana on a driver. Basically, Evans is trying to prove that driving under the influence of cannabis causes accidents. The bummer for her is that the research that does exist proves that marijuana does have a measurable, yet mild effect of psychomotor skills, but doesn’t appear to play a prominent role in vehicle crashes. Of course, this is especially true compared to alcohol. One exception here is that cannabis is proven to have an impact on driving: when used with alcohol. Consuming cannabis while drinking alcohol also increases THC absorption, so your way higher than you would normally be. Conversely, when you smoke and drink, THC delays the peak of alcohol impairment, so you don’t feel as drunk as quickly until you start a bar brawl with someone taking over your coaster. The thing is, that THC affects everyone differently. It depends on your tolerance, your weight, your physical health, and so much more. It also depends on what your smoking. That is why it is hard to uniformly define legal limits to the amount of THC that is safe for driving. It is also super hard to prosecute based on blood levels. THC testing of blood can reflect any recent use. That means you could have pulled an old wake and bake session and now it’s the evening and you’re just hungry, doing stony-looking things on the road. If you got pulled over and your blood was tested, you could miss way more than just that Chipotle burrito. Basically, lawmakers in Hawaii are going to have to either pump some money into the research they’re trying to pursue or they could save their money and focus on the real culprit —alcohol. 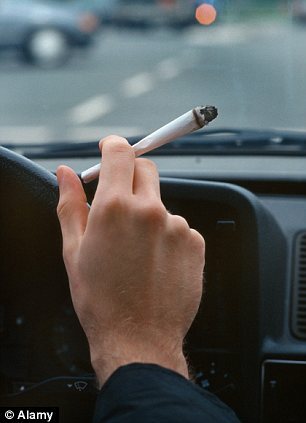 What do you think about imposing a legal limit for driving high? Let us know on social media or in the comment below.